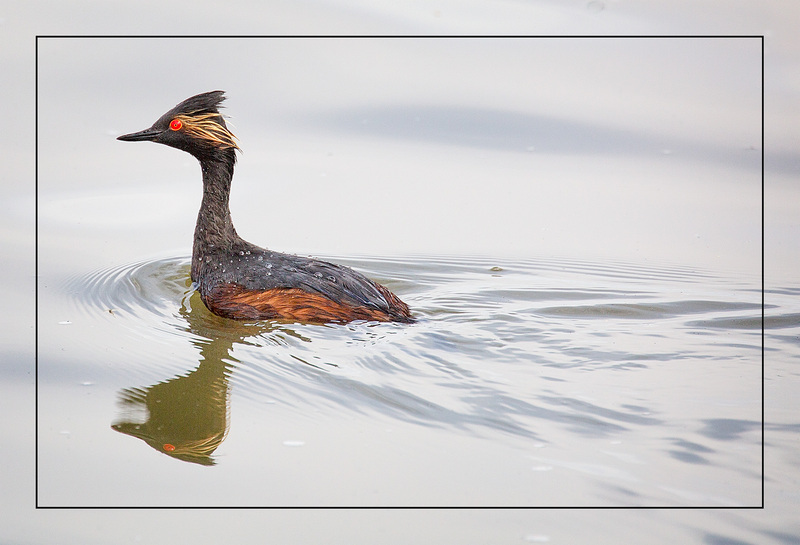 One of the reasons I decided to go to Tule Lake National Wildlife Refuge was because I hadn’t managed to get a decent shot of an Eared Grebe so far on my trip, and I had gotten nice shots of them the last two times I was at Tule. Though most of the grebes I saw were at a considerable distance, this pair were relatively close to the road. and this one emerged so close to the road that it nearly swam away before I could get the car stopped and my camera focused. 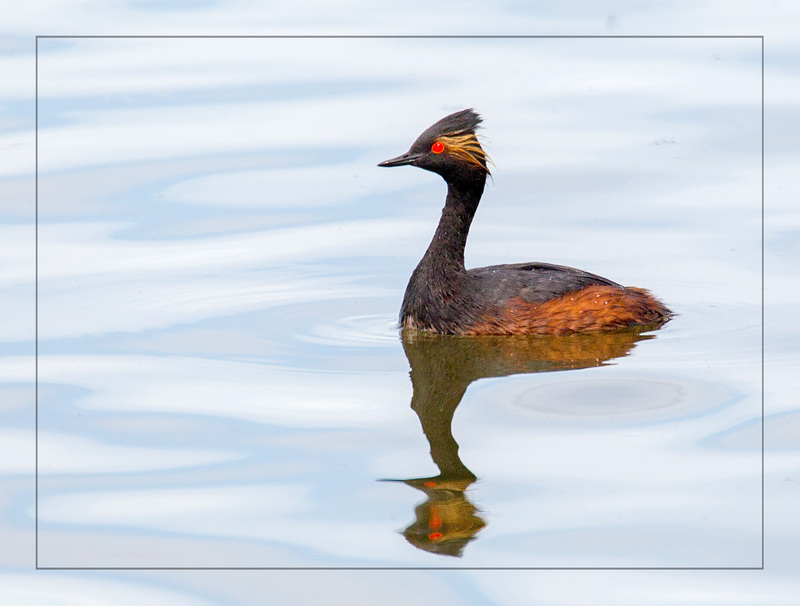 As I turned out, I really didn’t need to rush at all as this grebe seemed to be undisturbed by my presence. He actually hung around, even floating back in my direction. I didn’t get a lot of shots of Eared Grebes, but I was satisfied with the ones I got since I’ve never gotten an action shot of them (they always dive, not fly, when disturbed). I would love to see them with chicks, but it must have been too early since I saw lots of adults but no chicks. Lovely to hear from you again Loren after quite a long time. I appreciated your comment – seems to me that you feel much as I do about the state of the world. Beautiful photographs of birds as usual. 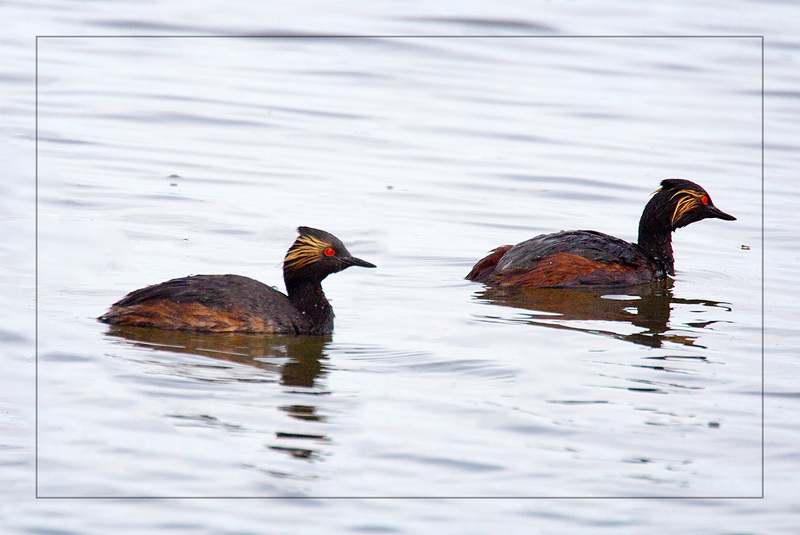 Love seeing these Eared Grebes in breeding plumage. They are quite spectacular. We only see them in their off-season. Still cute, but nothing like this.